As I’ve mentioned, I love the beach! As a kid, we always vacationed there, at Point Pleasant, Seaside Heights, Bay Head, Beach Haven West, and I have great memories of family times. My dad was a teacher so he was off in the summer, which meant that he always got a summer job. 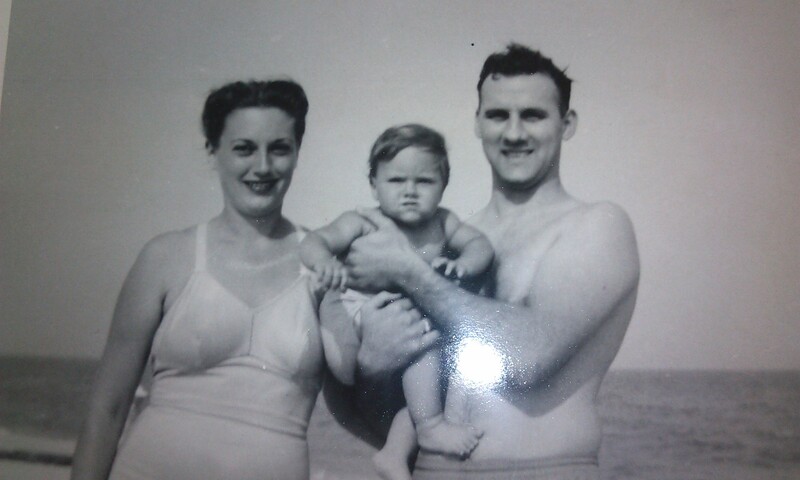 When we were very young, my parents would rent a house at the shore for 2 weeks and he would come down on the weekends while we would spend our two weeks on the beach. 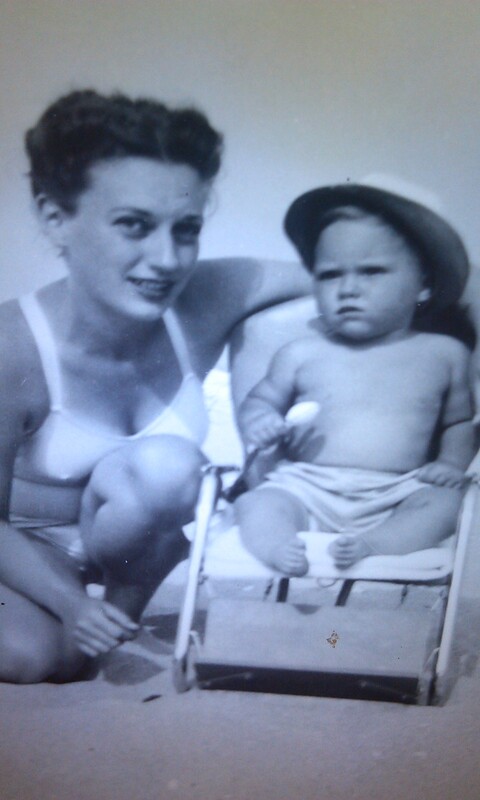 My mom was a bathing beauty in her day and she loved the beach as much as we did. I still remember the scent of Sea and Ski Suntan Lotion and can picture the old beach blanket we would play, eat, and nap on. 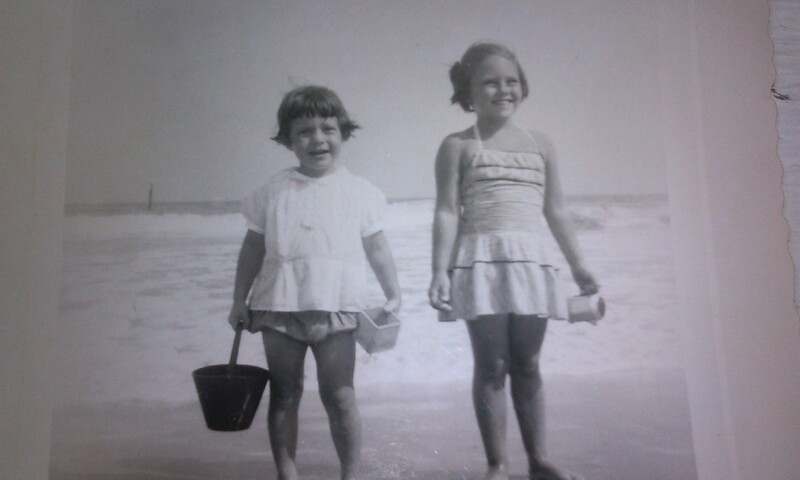 We’d go for the whole day, lugging all the beach stuff as we walked, pushing my brother in the stroller. It was great. One summer we rented a house with my aunt and cousins and my uncle and dad did the weekend commuting. We, of course, all went to the beach. There was always a pot of gravy on the stove and my aunt would feed anyone and everyone who stopped in. Aunt Rose. She would pay me a dollar to tease and spray her hair and I always gave her a nice little pouf up front. I helped her recover from the beach winds with those “do’s”! We had other family staying in the area at the same time and I loved being around everyone. We would line up our beach stuff, unwrap the enamel pots of “macs”, and have a beach feast. There was always lots of pasta on those vacations. Yum. And of course, sausage and meatballs. The boardwalk! Some of my relatives were constantly winning on the wheels and brought home appliances galore! We loved putting our nickels down and trying to win stuffed animals. Of course, the grownups were always luckier but we kids would get to roam in a pack and as long as we stayed together, we were safe and had the run of the boardwalk. The oldest cousin would be in charge and sort of kept us in line. When I became a teen, my dad got a job bartending on Long Beach Island and we got to spend the summer there. The first year, we rented a house on the Island but when we went to visit friends in Beach Haven West, there was a little house for sale, for $7000, on a lagoon with a dock and bulkhead. Heaven!. My parents scraped up the $1000 down payment and bought it. It was tiny, 3 small bedrooms, bathroom, kitchen living room combo, roofed patio. 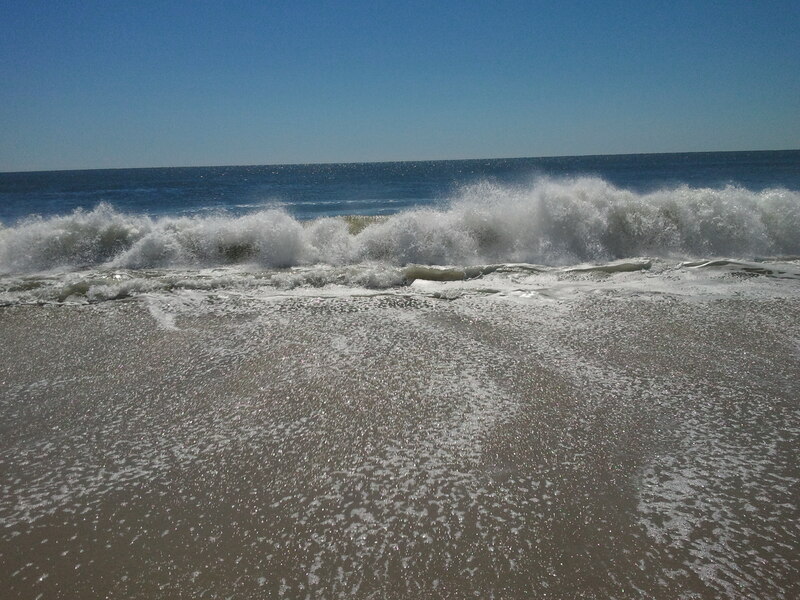 But we could swim and fish/crab off the dock, and after my dad bought his first boat, cruise out to Barnegat Bay. Life was good. My family spent every summer there as one by one, we went to college and then moved away, but my parents retired there and added on to that little house, and we continued to make memories as we married and had children. Beach Haven West was a good, somewhat central location for us to visit so it became the hub for the family Christmas, and as many other visits as we could cram in. The first Christmas that all of the kids were born, the living room was a sea of wrapping paper! But we all loved it there and our kids grew up loving it there too, going to the Island with Grandpa for the rides, trips to the Lucy Evelyn, the shops and restaurants, and the beach. I saw my first sunrise Easter mass on the beach in Ship Bottom and it was beautiful. I live about an hour away and my parents are gone now, so we no longer go to Beach Haven West but it’s in all of our hearts. When we travel north, we sometimes get off at exit 63 onto route 72 and drive down the street where the house is, seeing the same overgrown bushes, the added on second floor and porch, the familiar street, Linda Road, and of course, the memories. But, I also live close to new beaches. Cape May, Atlantic City, Ocean City, Wildwood, all are pretty close by. 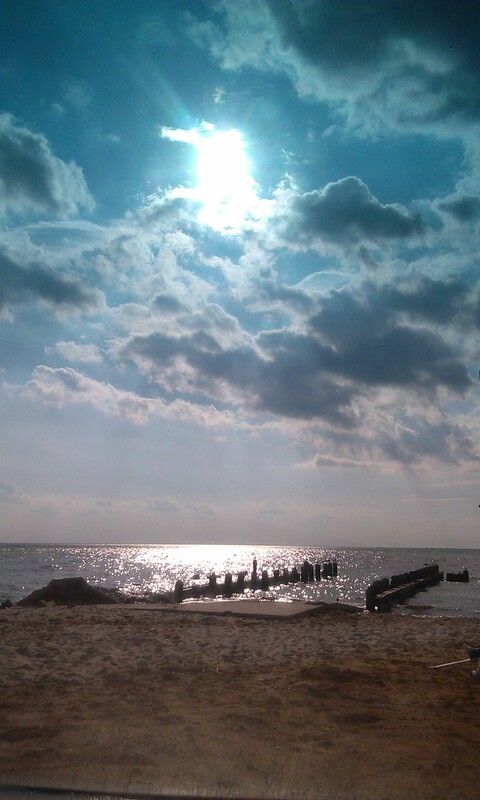 And so is the Delaware River and I have discovered small beaches within a short drive from my home. 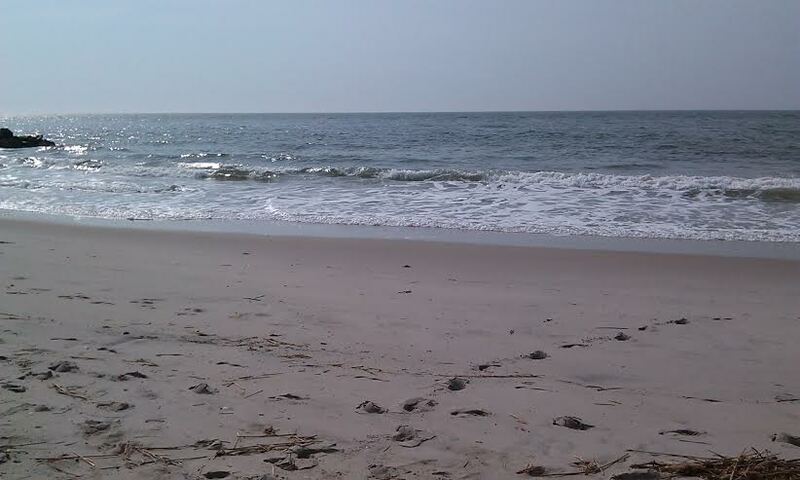 Now I can go to Fortescue, East Point Lighthouse, and the Cape May Ferry, and get that beach “fix” that I need. Many a morning, I’ve driven to Fortescue with a chair and a book, and of course, my tea, and sat on that beach by myself, just drinking in the view. It’s not the same as the Atlantic Ocean but it’s unique and beautiful too. I’ve discovered horseshoe crabs and sea glass and always find driftwood, and think about bringing a fishing pole some time, and making new memories. Yes, I love the beach.